Instructors, use the following instructions to grade students submission on Norton Workshop assignments and for assignments grades to sync with the D2L grade items. 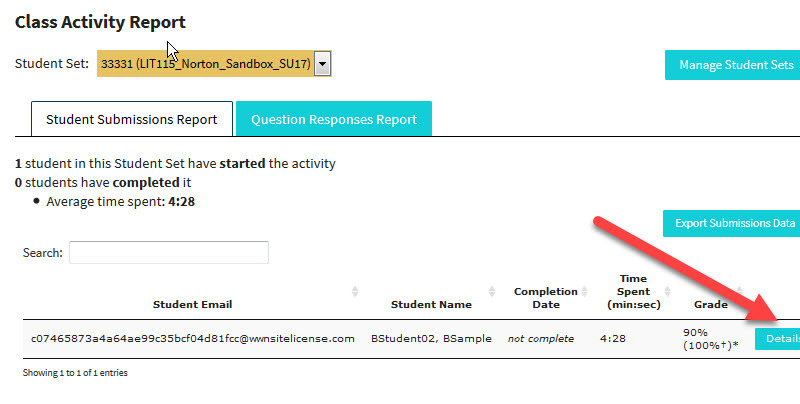 In the Question Response window review the student's response below the question>Enter the Grade, total points received and total points available, for the question in the Grade boxes>Click the Submit Grade button to save. Complete the process to grade all of the workshop question responses submitted by the student. 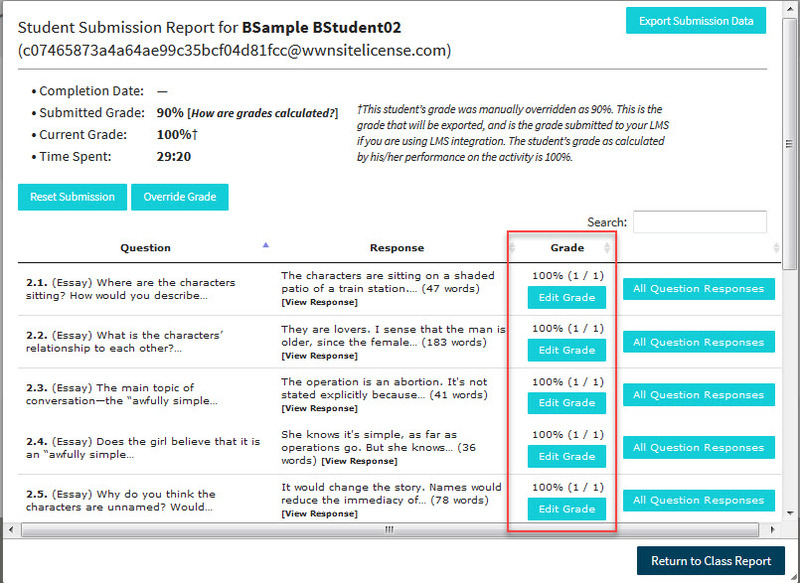 After all of the student responses have been evaluated>Click the Override Grade button at the top of the page>from the Override grade window enter the student's score>Click the Override Grade button. Note: The student's score will appear in the Submitted Grade column. Now the student's grade will sync to the D2L grade item. Posted by: Amy Sorensen - Wed, Oct 11, 2017 at 10:00 AM. This article has been viewed 461 times.